Last year in November my friend and business partner Marius (aka Vice) were having a beer and catching up. He mentioned he was thinking about going to Japan to take some photos and I invited myself to join. We decided to kick things up another notch and have an extended layover in Hong Kong before and Singapore after. A few months go by and suddenly I found myself in Japan during the height of picture-perfect cherry-blossom season! Does not really make sense without a bit more context, right? I went for 3 weeks in total – so, let’s start at the beginning and see what I did and ate during this whole time in Hong Kong, Japan and Singapore! 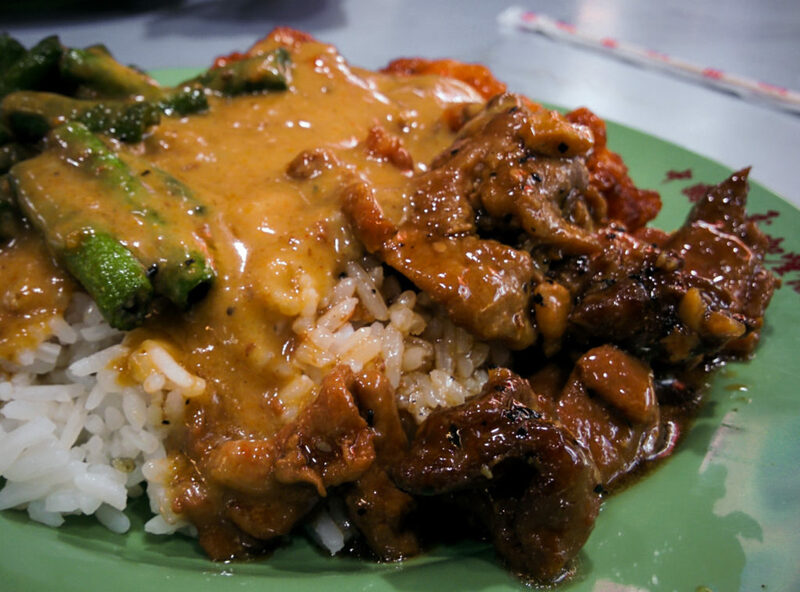 This post about Singapore is the third in a 3-part series about my travels to Asia. Last two posts were about Hong Kong and Japan. Alright! So we took a cab and asked the driver to take us to “Klacki?”. Of course he knew where to go and ended up in a tourist district which is actually called ‘Clarke Quay’. You see where this went wrong, right? We got ourselves some food (fried noodles and fried chicken) and started roaming around in the streets of Singapore. The skyline – again – was really impressive. After walking around for a few hours in the city we had the feeling that we already had seen everything. What the heck would we do here for almost 4 days? 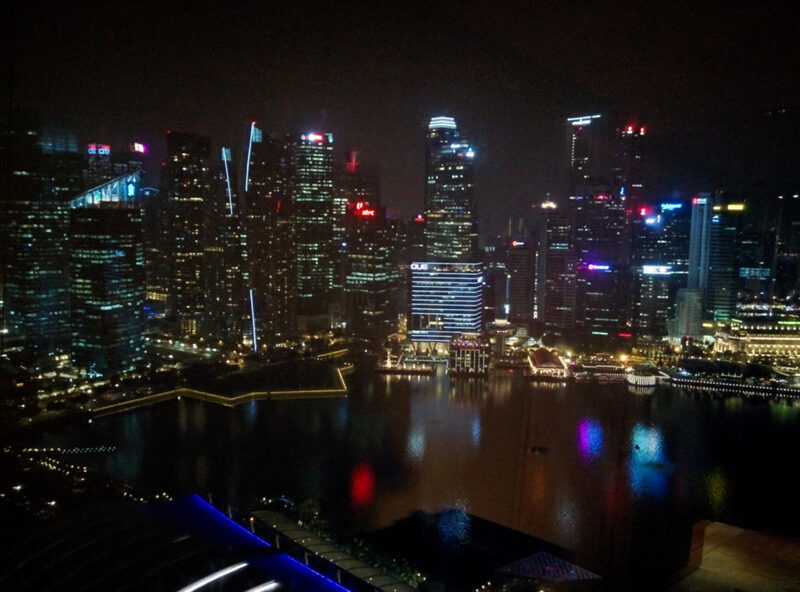 Singapore skyline has a similar feel to the ones of Hong Kong and Tokyo. Big financial buildings everywhere! 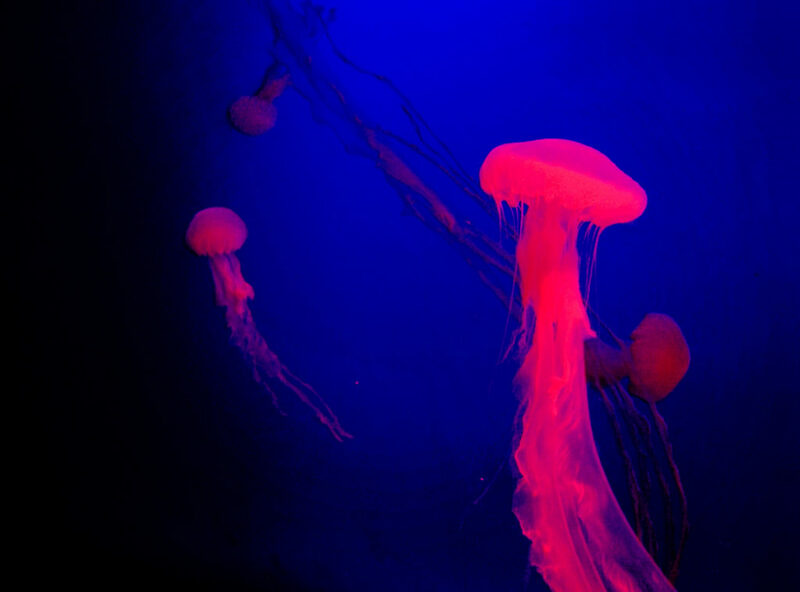 Let’s go and watch some trippy seafood! The next day we went to Sentosa with all its little tourist attractions. Sentosa is an island resort in the south of Singapore. 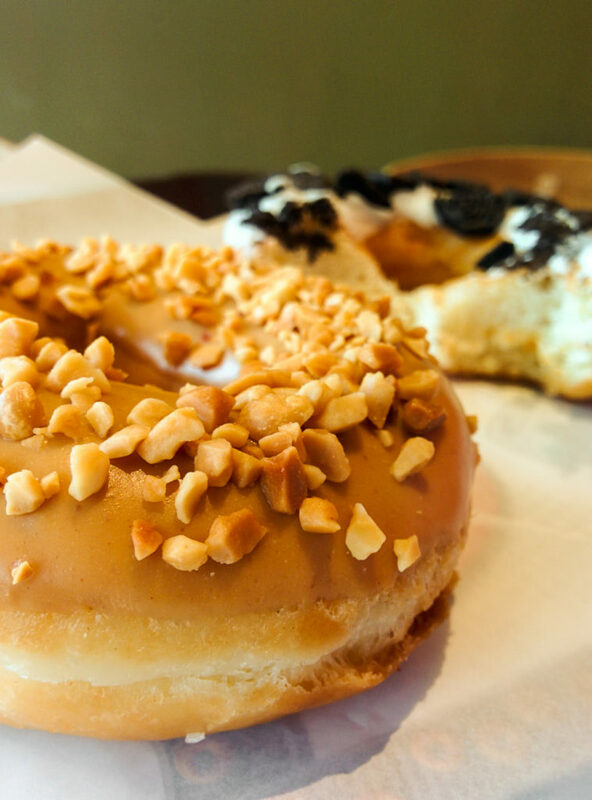 First thing on our to-do list: Obviously breakfast! Second round of breakfast: A ‘Spring in the city’-roll. Probably the tastiest everything-bagel in the world filled with ham, egg cream, scrambled egg, spring onion covered in savory egg cream floss. 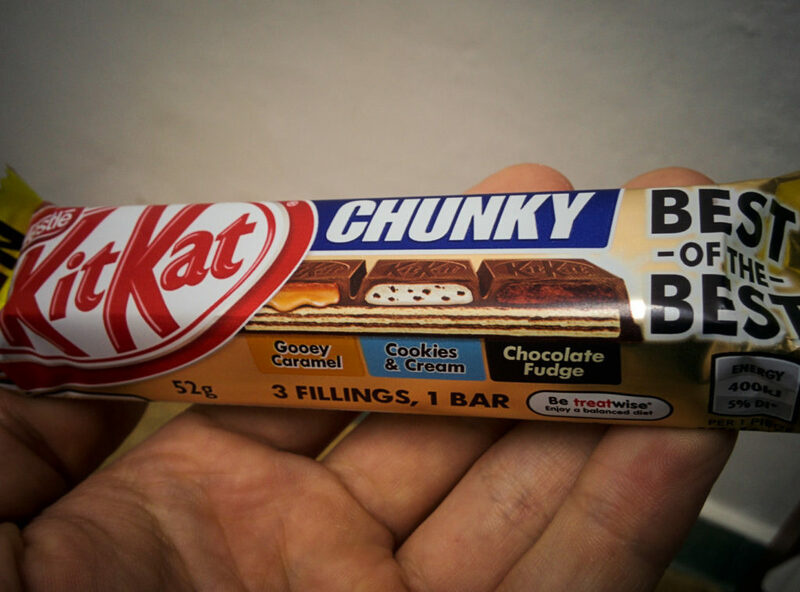 Kind of weird to eat, but trust me, this one was really tasty! After breakfast we settled for the aquarium. The last one I visited on Curacao was actually pretty sad, so my hopes for this one weren’t as high. Turned out, this one was actually really impressive! Ever wondered how it would feel like to be a crab at the bottom of the ocean? Probably pretty much like this! After leaving the air-conditioned aquarium we found ourselves outside in 35°c degree weather again. Guess no way around it, we had to get some ice-cream! As Singapore is a great melting pot of pretty much all different Asian cultures, we went for some Korean ice cream. Afterwards more food and after that even more food! Your idea of vacation might be ‘laying around at the beach’ – mine is ‘sampling ALL the local delicacies’. 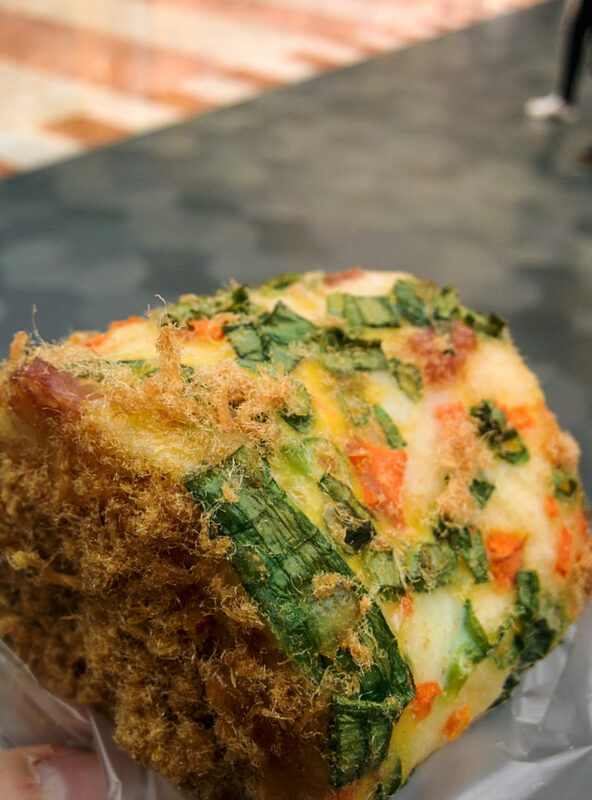 It may look like Gandalf’s pipe, but it’s Jipangyi – Korean ice cream! 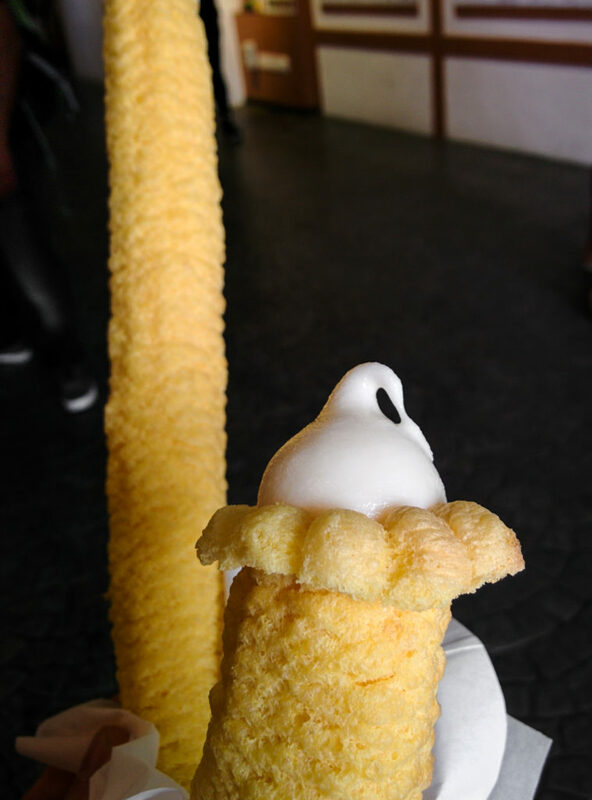 Just the strangest looking waffle cone made from puffed corn and shaped like the letter J, filled from top to bottom with vanilla ice cream. Looks weird, tastes great! 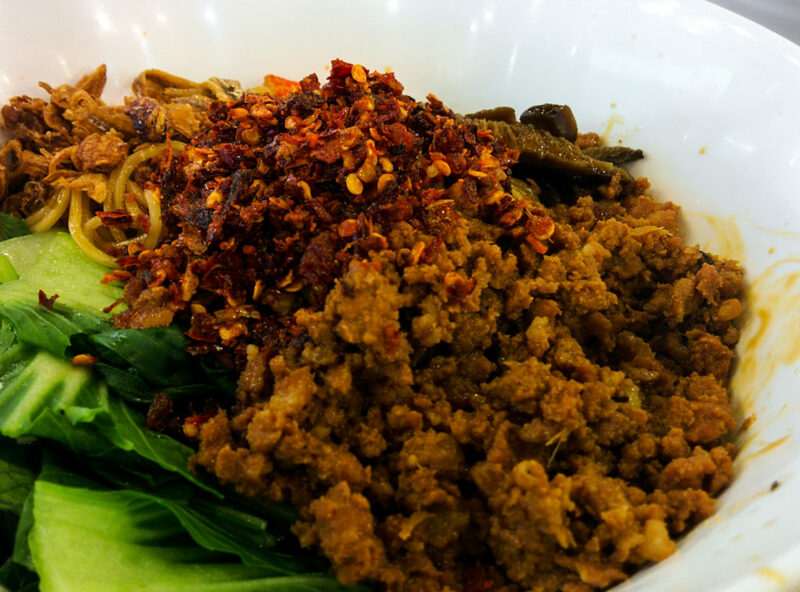 Greetings from the food court: A big platter of spicy noodles with minced meat and a looot of chili peppers! Well, no matter where you go, there is always a McDonals nearby. 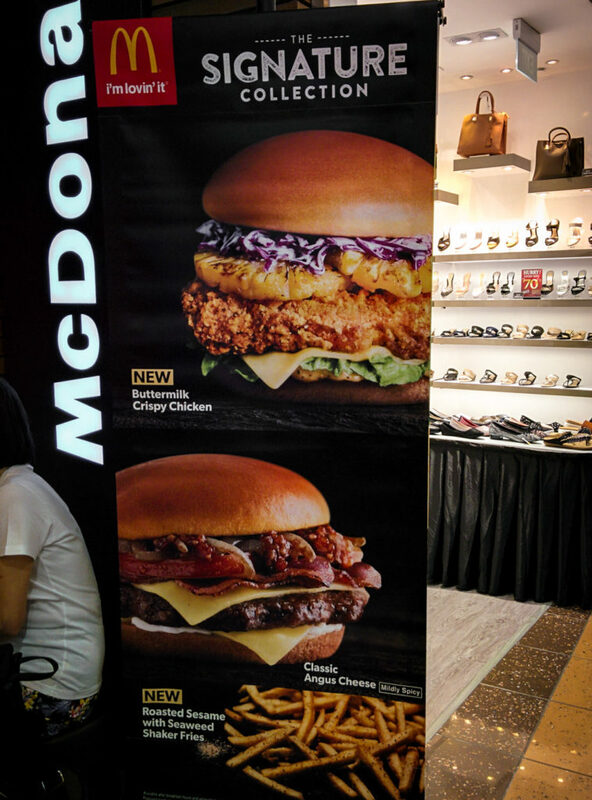 The local delicacy ‘Buttermilk crispy chicken’ looked much better on the poster than that it tasted in real life… Isn’t that pretty much always the case with McDonalds? We went further to China-town, tried some local snacks like Bakkwa (sheets of spicy dried minced pork) and found ourselves suddenly surrounded by drunken white tourist again. We decided to get out of there and headed further. The last food stop of the day? Little India! 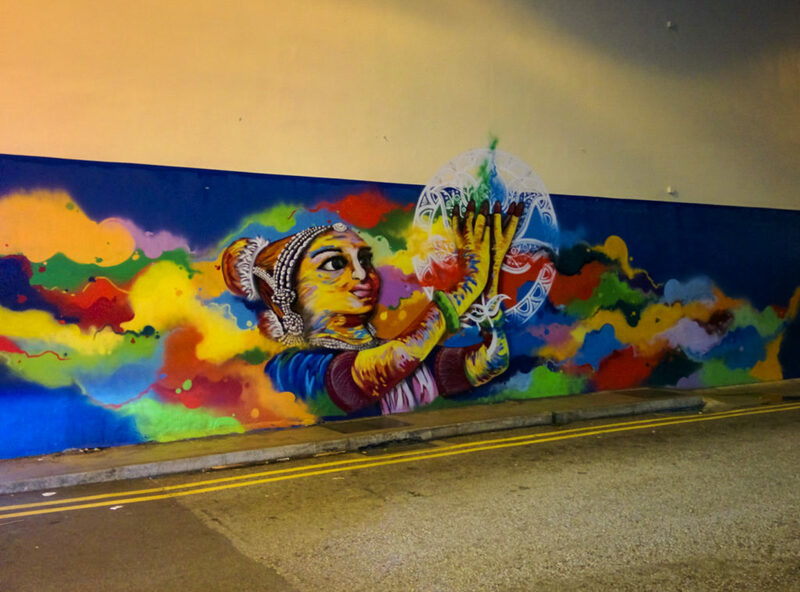 Singapore has a really big Indian community and the name ‘little India’ does not really do the neighborhood justice. It’s HUGE! Block after block after block: Indian stores, retailers and restaurant as far as the eye can see. After checking into the Marina bay we roamed around the streets of Singapore again. We asked a cab driver where to go at night and he dropped us off at ‘Mustafa’. 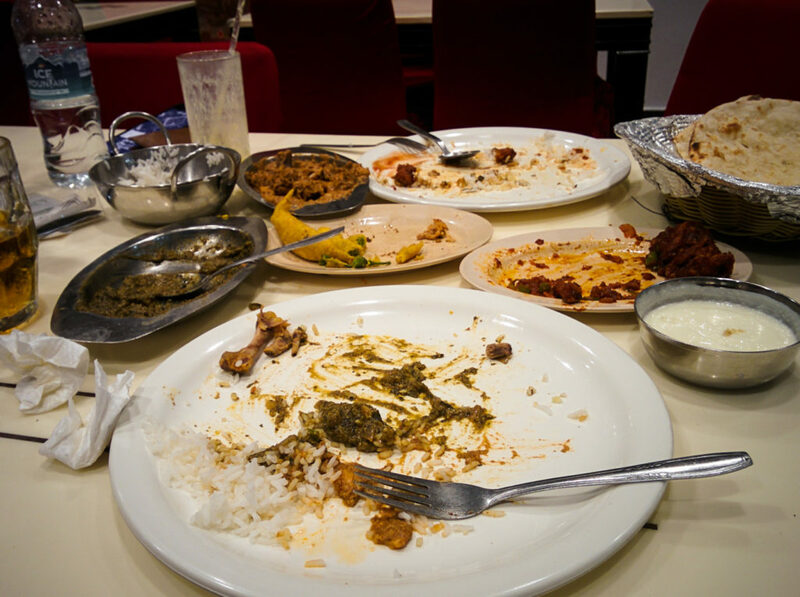 ‘Mustafa’ was in little India again, so we settled on Indian food again at Mustafa café. Biiig portions for our empty stomachs and it turned out that we would need it for the journey we had in front of us. ‘Mustafa’ is actually not a neighborhood, it’s just a guy – a guy that opened a department store in little India. Did I mention that we spent 2 hours getting lost in this RIDICULOULSY big department store? I’m not talking about an organized mall with separate little departments, I’m talking “packed, stacked-to-the-roof, whole-sale, complete chaos, discounter, hypermarket” –insanity. If you ever watched an episode of “Hoarders”, it’s pretty much exactly like that but then with stuff that’s still edible for +-1 month (check the date before you buy food!). No matter what you need – Mustafa has it! It’s the one-shop-for-all solution that supplies everyone in little India, well maybe even whole Singapore. Sunglasses, watches, a department just for used calculators, cloths, dresses, fabric to make your own cloths, hundreds varieties of rice in up to 20kg bags, countless isles just for candy, raw seafood, underwear, meat, Singapore souvenirs, fruit, TVs, kids toys, drones, shoes, toilet seats, bike locks, mattresses, remote controls, a counter with a vacation booking agent, money exchange, … It’s a messy hypermarket on steroids. We tried to film the pure scale of it, but photos and films didn’t do the ‘store’ justice. To give you an idea: It’s 2 buildings each covering one whole city block, 5 stories high, connected in the middle, not with a bridge but with additional retail space. Someone posted a time lapse of a straight walk through one floor on YouTube. Opening hours? Literally 24-7! When we asked a girl stacking the shelves where ‘Mustafa’ is, we expected her to say something like “No, there is no Mustafa, it’s just the name of the store”, instead she replied “He’s sleeping now, he will be back tomorrow”. Fair enough as it was 2:40am when we were in his gigantic hoarder paradise. Still, Mustafa – you have a hoarding problem! The service in the Marina Bay Sands was actually pretty bad. I was seriously treated friendlier and better in backpacker hostels. 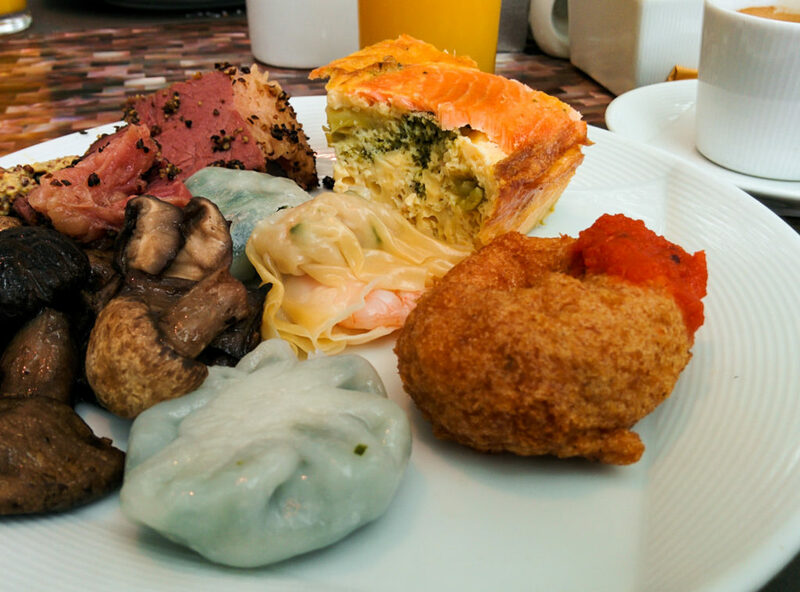 The breakfast -we paid extra for- was just a big mediocre restaurant buffet in which we felt treated like customers in a McDonalds. The staff was not really interested and though there was a lot of choice all the food tasted just bland. You would expect more from this so called 5-star hotel. The pool on top of the hotel was nice though. 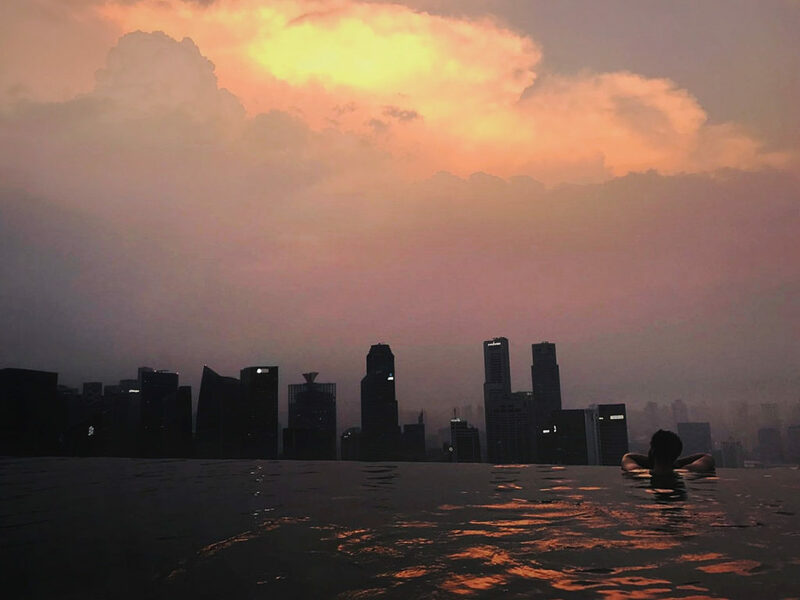 The hotel consists basically of 3 skyscrapers each 57 floors high, connected on top by one of the largest outdoor pools in the world. You get to see the skyline of the city basically from eye-height while cooling off. Meh, there are worse places to be at sunrise. Okay, to be honest – that view was pretty good! On the last day we went to the ArtScience museum and visited the future world exhibition. It was created in collaboration with TeamLab, a renowned Japanese interdisciplinary art collective. The exhibition was one big fun interactive art piece, combining digital elements with the real life. It was meant for kids, but for us it was just as awesome nonetheless! Lots of kids running around, bumping over digital objects that seemed all too real and coloring figures that were scanned and suddenly came to life on the walls. This was really a fun place to hang out! One of the most fun and mesmerizing exhibitions I have visited in a long time. I left my permanent mark by introducing the IJK cooking squid to the digital aquarium! 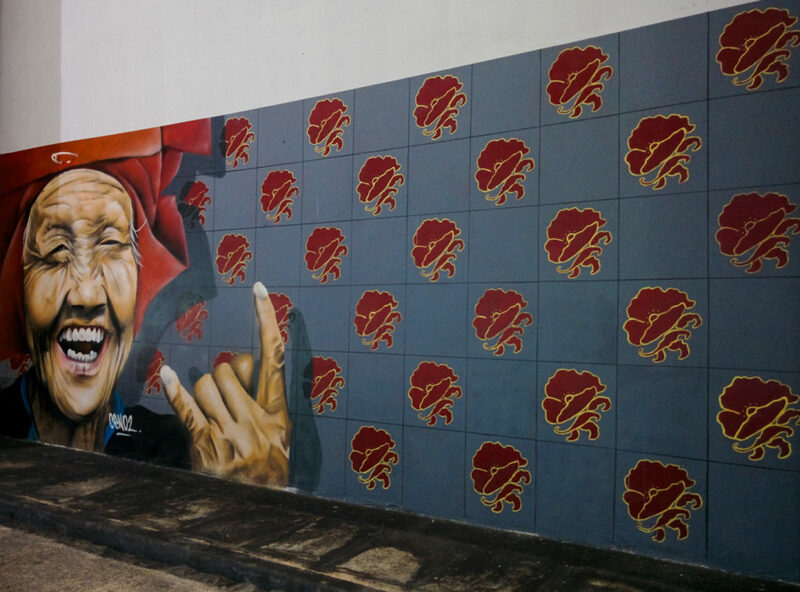 Finally some decent graffiti in Asia! It took some time but Singapore grew on us, so much actually that I found it quite sad to leave, because I had the feeling that I left so much of the city unexplored. In the airport we went to a Korean fried chicken place called “4 Fingers”. Even though they ask their customers to keep the place a secret and not tell their friends about it I just can’t help it. This was the best chicken I had on the whole trip!! 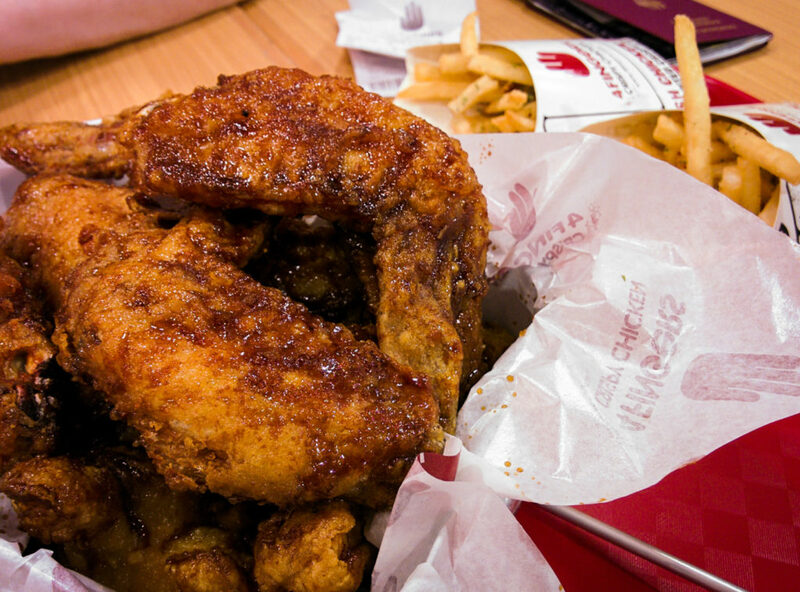 Sweet, spicy, salty, crunchy, sticky, juicy, tender, and just delicious! We scraped together all our money and came up with 24 Singapore dollars. How much is a 12 piece signature chicken menu with 2 drinks and seaweed flavoured fries? SPD23,55 – JACKPOT!!! Spend more money on traveling to get richer! They say that spending money on traveling is the only thing that leaves you richer. Traveling to far destinations can be quite expensive. If you ask me, it’s money very well spent! Visiting foreign places and cultures broadens your horizon and lets you experience your own situation at home in a very different light. Growing up in Western Europe there are a lot of things I took for granted. Only when I visited South- and Latin America, as well as Asia I understood how privileged my upbringing really was. I am more than willing to empty my bank account time and time again to see more of the world and learn more about other cultures (and especially food). Spending money on traveling is an investment in yourself and will provide you with life-changing experiences that money literally can’t buy! 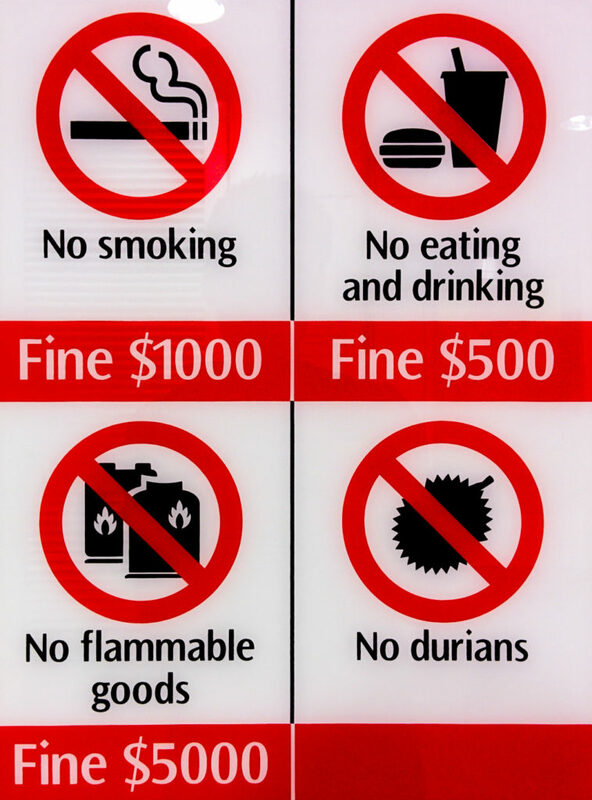 Don’t you dare to bring Durian (stink fruit) on a subway in Singapore though! If you ever thought of going to Asia but were too afraid because of the language barrier – don’t be afraid and give it a try! It’s easier than you might think! Written and spoken language is definitely a barrier, but it’s one that can be surely overcome with a little effort from both sides. I was scared at first that we would be unable to find our way around with Mandarin, Cantonese and Japanese signs that have literally no meaning whatsoever to me… With a little help of your hands and feet you will get quite far in communicating with your new foreign friends. On top of that, Google Maps is a great tool for public transport and will help you to find your way around as well. Give it a go, jump out of your comfort zone and broaden your horizon! This was the final post on my recent trip to Asia. There are sure lot’s more to come in the future! The next trip I’ll take will be to Poland. Yeah, that’s something different for a change… First things first, there will be finally recipes again in the next weeks! Sign-up for the newsletter and I’ll keep you posted! If you have any travel tips for places I should definitely visit, share them with us in the comments below!